S700i opens a world of true mobile digital imaging. A 1.3 megapixel digital camera and smart swivel-action mobile phone in one stylish device. In horizontal mode, you have the perfect camera. Vertically held, it has the look, feel and satisfaction of a mini organiser, phone, gaming and messaging device. Open the S700i and the keypad is there where you need it. Connect with Bluetooth�. Store more with Memory Stick Duo�. S700i adds true imaging to your lifestyle. And QuickShare� makes it easy. 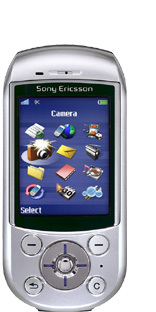 Coolnewmobile - Offering the latest Contract Phones including the Sony Ericsson S700i at the most competative prices around. We offer fantastic mobile internet phones all with FREE text messaging*, If you want an O2 mobile phone why not buy it now from O2. They also have some good deals on the Sony Ericsson S700i.